What if there was nothing you couldn't laugh about, with love? Find freedom in laughing at your perceived fears, flaws and failures with award winning spoken word artist and storyteller Dave Rock. 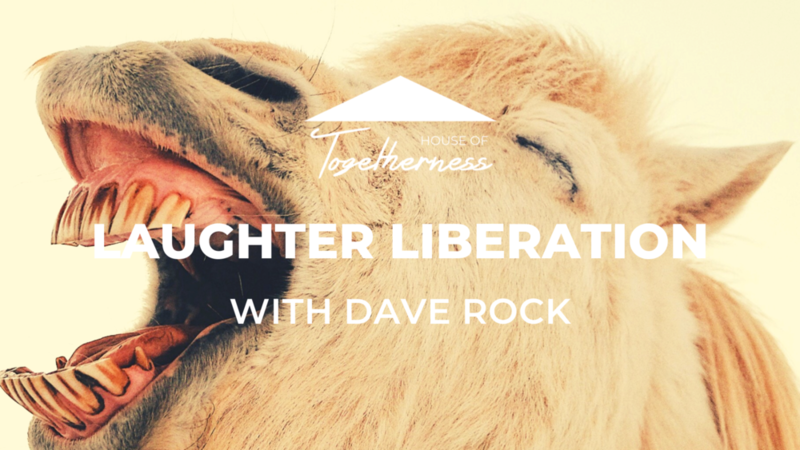 Spend an evening with Dave Rock, finding the freedom to laugh at fears, flaws and failures and setting yourself free to live more freely and fully. Laughing at our dreams and desires liberates us to actually live them. Laughing at the deepest darkest, weirdest, squirmiest bits of ourselves gives us the greatest capacity to love ourselves as we actually are. And besides, it's more fun this way. As well as massively releasing stress and shame, it boosts our health, and makes us so enlightened we have a moral duty to be smug assholes to family, friends and lovers forever after. The workshop will be a blend of simple sharing games and high-energy movement and collective speaking exercises. Dave can't be more specific than that, because he tends to follow flow, intuition and fun to improvise each experience. No one will be put on the spot, and no one will be made to do anything. It will be gentle, and uproarious and wild at the same time. Dave Rock is an award winning spoken word artist, and a storyteller. For 10 years he’s taken thousands of people on a journey to Live and Speak their Gifts. He teaches CEOs, award winning performing artists, alternative communities, comedians, clowns, teachers and speakers. His work fuses playful, profound creative practices with cutting edge Flow neuroscience, and aims at Unconditional Love and Unconditional Fun. He’s co-taught with Jamie Catto and many other top-notch creatives. He was recently voted one of the top 10 speakers of the Online Embodiment Conference, from a line-up of 140 of the world’s best.